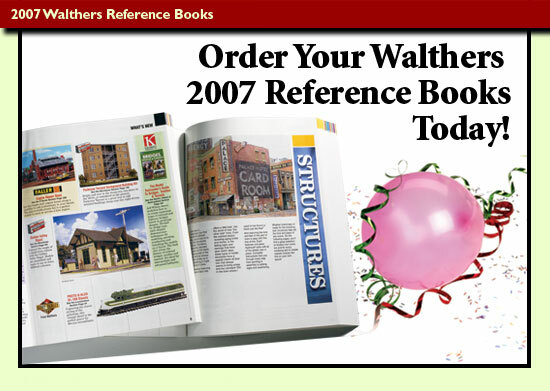 Walthers is kicking off their 75 Year Anniversary celebration this fall with a special retail price of just $9.98 for the 2007 HO Scale Reference Book. The 2007 Edition is packed with new product information, brand new vendor listings, photo's and features - they are also reducing the price. So at $9.98 we are expecting a sell out. So don't miss out. Order today.